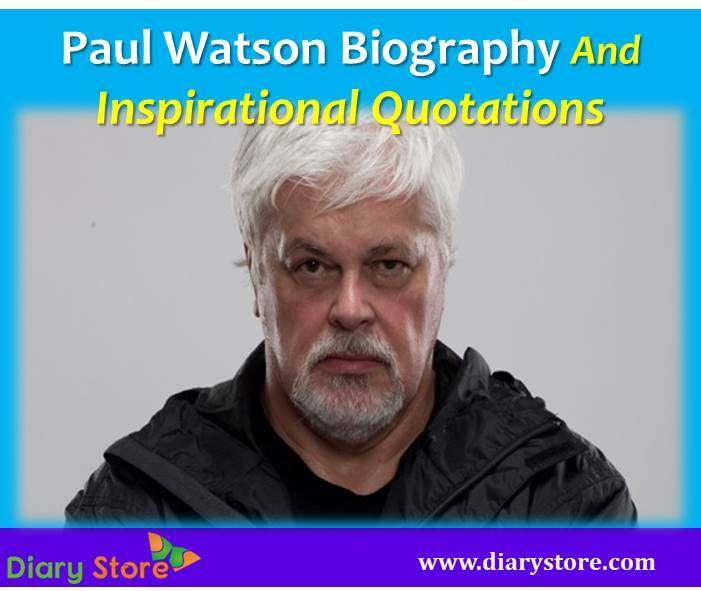 Paul Watson is a Canada-born environmentalist, the founder of Sea Shepherd Conservation Society, known for adopting bizarre and unconventional rude methods of anti-poaching activities on marine wild life. In spite of his admirable ideals of protecting sea animals, his actions were frowned upon even by the purists of environmentalism who are more inclined for peaceful ways for implementing the objectives. Paul Watson was born on December 2, 1950 in Toronto, Canada. The seeds of tender care and affection for animals were sown in his mind during the days of his childhood when he was a member of the Kindness Club. Later he joined a Sierra Club in October 1969, to protest vociferously against the underground nuclear testing at Amchitka Island located between Bering Sea and Pacific Ocean. The group of people which condemned the nuclear test complaining that it resulted in loosening tectonic plates in the region has grown into an international organization which is known today as Greenpeace, with its branches spread across the globe in forty countries. However, in subsequent years, Watson was expelled from the organization by its Board of Directors due to his queer stance on the so-called direct methods (as declared by him) which were violent in nature and much in contradiction with its peaceful policy on environmental protection. In the same year of his expulsion in 1977, Paul Watson formed his own group with an initial name Earth Force Society which was later renamed as Sea Shepherd Conservation Society. The conservation society operated through its fleet of ships called Neptune’s Navy for protection of marine wild life. He continued to espouse his original methods of “direct action” like scuttling which involved in deliberate sinking of ship by letting in water to enter the hull of ship, puncturing/ripping holes on the vessels to thwart the attempts of poaching, hurling foul-smelling bottles of fetid butyric acid (stinky and sticky) on to the poachers, tearing off the hunters’ net for stymieing the acts of hunting marine animals. Although his basic idea of protecting oceanic fauna is praiseworthy, the nature of method he adopted for implementing his ideals was always denounced by a vast wider section of devoted environmentalists. Paul Watson had to face a plethora of criminal charges by many countries Australia, Japan, New Zealand, Iceland, Norway etc., following his attacks on the vessels hunting for sea animals. He was even banished by Iceland and Australia; he was denied visa. The charges levelled against him were so grave that the accusing nations had to apply for his extradition from the International Court of Justice and the Interpol was pressed into action to nab him from the ships of Sea Shepherds at the shores of New Zealand in 2013, but in vain. In spite of being the target of accusation in international circles for taking law into his own hands for protecting marine life, he has his fair share of accolades and encomiums from a few countries for adhering bravely to the noble cause with a considerably strong consistency amid ever-existing scathing condemnation on his actions. Paul Watson was the second recipient of Jules Verne Award in October 2012, after Captain Jacques Cousteau for dedicating his life to environmentalism. He also received in June 2010 the Asociacion de Amigos del Museo de Anclas Philippe Cousteau: Defence of marine life award in recognition of his dedication of his life to protection of marine life. As a gesture of appreciating his contribution to animal liberation, Paul had been recruited into US Animal Rights Hall of Fame in 2002. 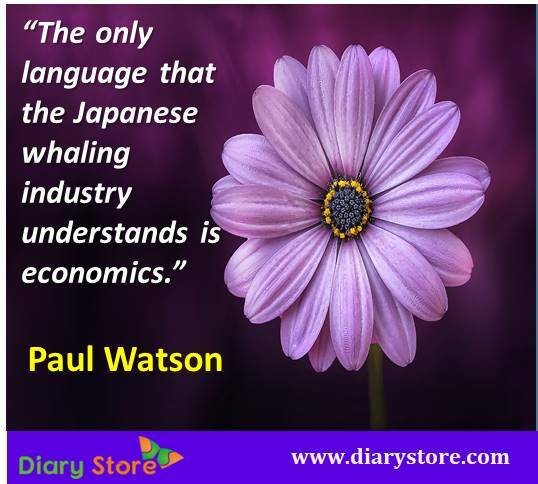 Paul Watson was hailed by TIME magazine as one of the top 20 Environmental Heroes of the twentieth century.